﻿ Will a house mouse in the attic have a nest of babies? Mice are a common pest and they like to live in urban and rural homes. They can lead to many problems when they decide to inhabit houses or buildings. One of their favorite spots to live is in the attic. If there are mice in the attic, it may mean that there is a female with a nest of babies among them. You should not just trap or remove the adults. You have to check first if there is a nest of babies in the attic. 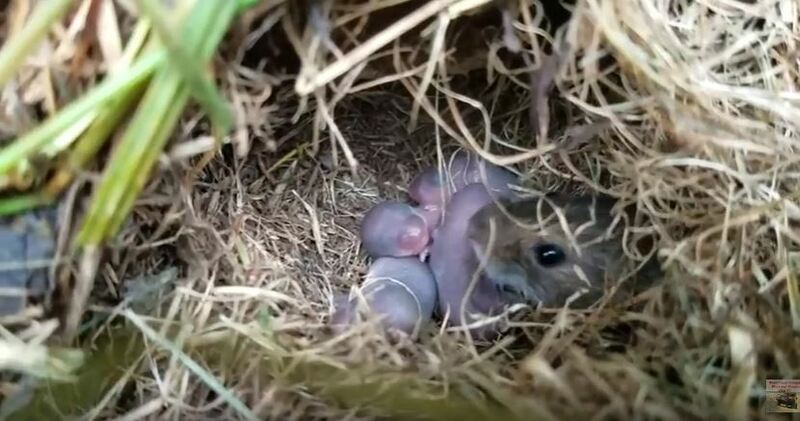 These baby mice will need to be removed by hand. They may also be used as live bait in order to catch the mother of the mice. When you catch the mother, you can then relocate her with the babies. You may also force the mother leave the attic when you intimidate her using different techniques like mice eviction fluid. When the babies are not removed from the attic with the mother, they will die from starvation and will decompose, which may lead to a strong odor. This is why it is so important to check for a nest of babies before enacting any eradication strategy. The mice may do damage to the attic or to your home and they may expose you to health problems. Mice can squeeze themselves into small openings in order to get entry into the house or they may chew their way into the home. They can destroy drywall and sometimes they can cause fires. The best way to get rid of mice is to call for a local pest removal service and a local exterminator. Even if it may cost you extra when you choose to go this way, you will be assured that the professionals will do the job right. The expert will also help you to decontaminate the areas where the mice may have been living. Poisons may be effective when it comes to killing mice, but at a certain level, they are toxic to even humans and pets. The traps are the standard way to get rid of the mice. Go back to the How to Get Rid of Mice page or email us if you have any other questions about Will a house mouse in the attic have a nest of babies?